You have four options for making payment and completing your form. 4. 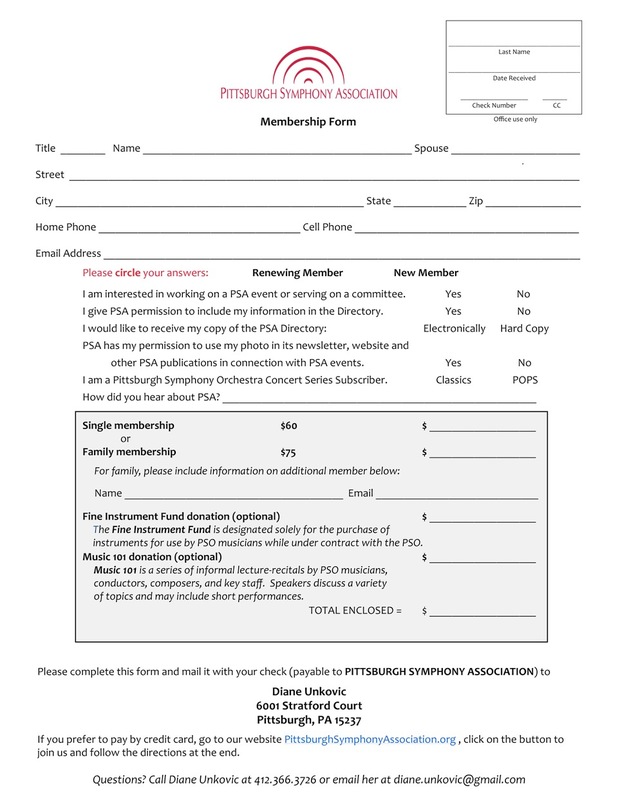 Print the form, complete it and send it, with your check made payable to Pittsburgh Symphony Association, to Diane. We appreciate your payment of the credit card processing fees, included in your charge, to allow us to contribute more to Keeping the Music Alive.